Your all-in-one source for your amazing outdoor sanctuary. 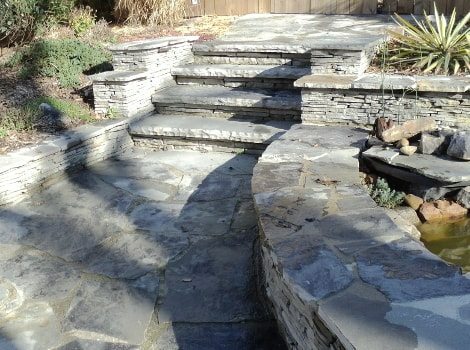 Water, Color & Stone Inc. is an environmental services company specializing in design & construction of sustainable solutions that enhance outdoor living. Careful site analysis and close interaction with our clients help us to create intriguing designs that enrich the built environment. For over 25 years, we've been providing homeowners with high-value, custom landscaping features like fountains, waterfalls, ponds, landscape lighting, retaining walls, stone columns, erosion control, bridges, trellises, treehouses, and more. We take pride in transforming challenging sites into functional spaces that will enhance your garden and home for years of low maintenance enjoyment. Please browse our website for examples of our work and check in frequently for tips on garden care or articles of interest. Nothing transforms an outdoor space like living water! We are specialists in the design and construction of all kinds of beautiful, low maintenance aquatic gardens. Whether formal or natural, small or large scale, we have the experience and the resources to bring it to life. 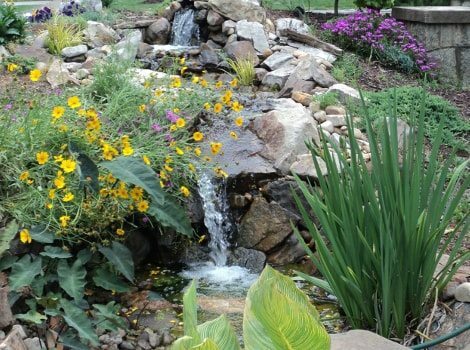 Our specific training will help you to make wise choices that bring the soothing sound and tranquil beauty of running water into your garden. Contemporary landscape design utilizes a wide array of masonry arts. Whether it’s the old world, rustic charm of natural stone, or modern concrete products like segmented retaining wall block or interlocking pavers, artisans at Water, Color & Stone have the vision, skills, and experience to create master works! 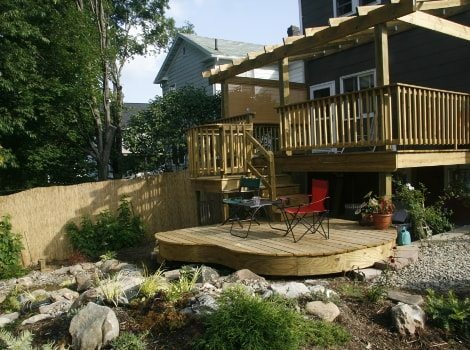 Let us create decks with round edges, or arbors to welcome you into the back yard or even a fence to form a new outdoor room! We will integrate wood into the garden in ways you never thought of. Call us today for a free consultation about your property, or fill out the contact form. We'll be in touch shortly. Please use the form below to send us an email message. We can also be reached at (404) 277-6372. We look forward to talking with you.